Scottish businesses can benefit from new funding opportunities to help them maximise their time, money and expertise and improve their environmental credentials. Resource Efficient Scotland (RES), a programme of Scottish Government-funded Zero Waste Scotland, has launched an Implementation Grant fund and an SME Loan fund to help businesses overcome barrier to implementing resource efficiency measures. Collaborating with a group of businesses to reduce waste production. Businesses can also benefit from loan funding to install biomass boilers, upgrade lighting, insulating or more efficient equipment to reduce raw material use and waste production. Loan applications must be supported by a qualifying free audit report, which can be carried out free by RES. Loans are available from £1,000 to £100,000 and are interest free in most cases. Having benefited from funding and advice from Resource Efficient Scotland, Longforgan-based Scotherbs is making annual savings of almost £100,000 after commissioning an external consultant to undertake a six-month project to reduce waste across the entire supply chain. Using funding from the SME Implementation Fund, the project saw an eight-tonne reduction in herb waste within six months, as well as additional savings from packaging and labour. Managing Director Ronnie Leggett (pictured), said: ‘Scotherbs is an important business within the Scottish food-and-drink sector, with growing sales across the UK marketplace expected to increase by 40% in the coming year, and 20 new roles being created. 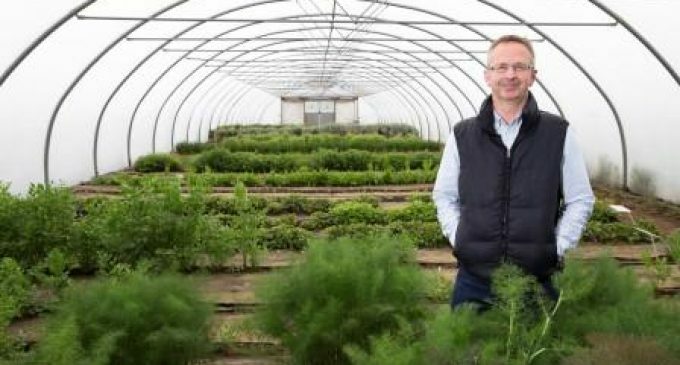 ‘Waste, cost and resource-efficiency is vital to us and thanks to the help and advice from Resource Efficient Scotland, the savings and the reduction in herb waste we’ve made have been fantastic.